With its incremental optical encoder and industrial design this rugged transducer provides the highest accuracy and longest life of any measurement device of its kind. This model is available in a wide variety of resolutions and out- put stages to fit virtually any requirement. 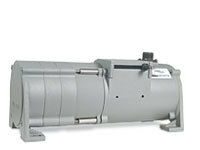 It can measure up to 550”, yet when its cable is retracted it is only 6” long. Its small size and low-cost-to-measurement ratio offers remarkable flexibility and value.